Red cabbage is in season in the UK in November and December so is a wonderful ingredient to use in many winter dishes. It is often braised or boiled but by pickling the red cabbage, you can enjoy this vibrant vegetable well after the season has finished. Add other spices to your pickling liquid, for example, bay, juniper, allspice, star anise and peppercorns. 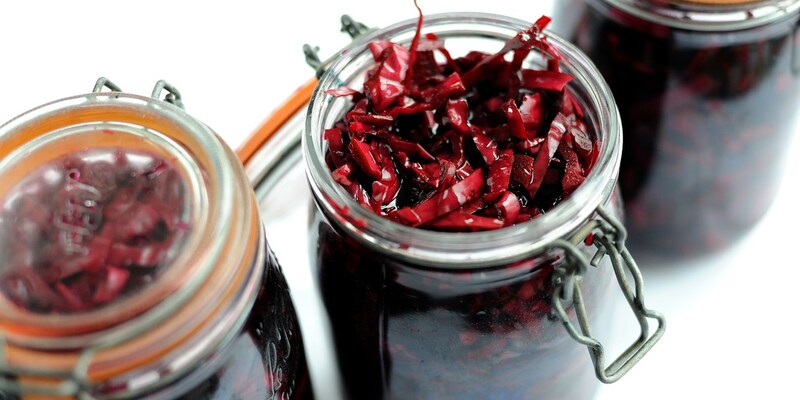 Josh Eggleton adds chilli and ginger to his pickled red cabbage for a subtle fiery kick. Pickled cabbage makes a colourful accompaniment to rich ingredients such as cheese and meat or added to a salad or a sandwich.